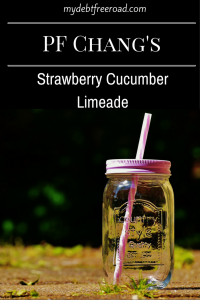 If you are looking for a fun, summer drink, you should try PF Chang’s Strawberry Cucumber Limeade! When our server suggested it, it does not sound like a good combination, but I thought why not try something new! 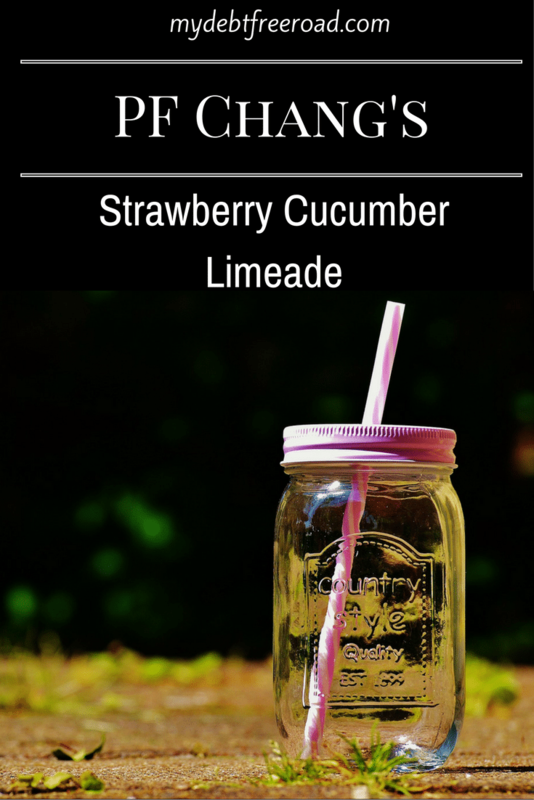 The tangy and sweet combination of the flavors was a refreshing surprise. The $3.95 price was a bit shocking, but thank goodness we were using a gift card! Our fabulous server gave us the recipe so I tried it at home and I quickly tried mixing it up. It turned out a bit too tart, but for a first try it wasn’t bad. I let it sit for a few minutes and to let the flavors combine better…oh.my.yum!! 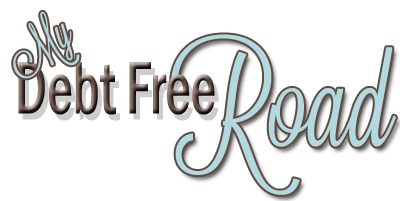 Find all recipe ingredients and supplies in my Amazon Store. I haven’t heard of that type of combination. It seems interesting. I will try this in my home. Thank you for sharing. Is the 1.5oz of sugar by weight or by volume? I believe it is volume, but I adjust mine to taste. What is the Ramekin full julienne cucumber? Never mind. My husband explained it to me! Great! It’s funny because my husband asked me what it was and I was shocked he didn’t know. We both had worked at Olive Garden during college and always used ramekins for extra dressing and sauces. Can you explain the Ramekin full julienne cucumber to me? I know what a Ramekin is but how does it come into play? The restaurant had that in it’s recipe listing. I’m guessing the “ramekin full” was to explain the amount of cucumber for the drink. Personally, I just slice a few larger pieces of a cucumber. Anna Herring recently posted..Amazon Prime Day | Is it worth it? I’m trying to make this for my wife. What does “add mixers” mean? Also, the drink she gets at PF Chang’s is more than 3 oz. I’m very confused by your recipe. Could you be so kind as to explain it? Mixers is the rest of the ingredients. I copied the recipe word for word from the slip the server gave me it must be the term bartenders use. When I ordered this drink it was in a small glass so there was mot much to it. Have started serving a larger portion since last year? I make it at home now so I never order it. 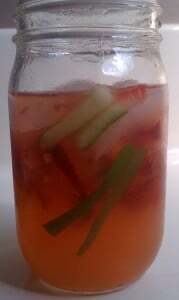 Feel free to add more water and juice to make a larger drink, but then you will want to add more sweetener. I usually double the recipe. Hope that helps! Anna Herring recently posted..Braces-Free at 40! There is a LOT of ice in the glass, so there’s a good chance there’s only 3oz of actual liquid. This is absolutely delicious! Thank you for the recipe, my family loved it! Wow !! It looks yummy!! The most positive side is that it refreshes the mind and also healthier too. I like it so much especially for combining strawberry and cucumber. Showhan recently posted..What Are The Best Permanent Coffee Filters? This is my favorite drink at PF Changs since last September! It is so refreshing and I can’t wait to make it at home! This is my favorite drink at PF Chang since last September! It is so refreshing and I can’t wait to make it at home. Thanks for the shearing…. Thank you for sharing this recipe! This is exactly what I order regularly when we go to PF Changs, now I can make it at home. This is very savvy, especially if it’s something I want to drink often.